Something is holding you back when it comes to making changes in your life, health or eating habits. You know what you need to do, but cannot bring yourself to do it. You wish you could feel free. Free from the past. Free from guilt. Free from your bad relationship with food. And free to love yourself so you can finally find inner peace and happiness you deserve. Rapid Transformational Therapy is a highly effective 'super therapy' that gets results by finding the root cause of your issue and releasing you from it in as little as one session. Once the root cause is found and healed, your beliefs and thoughts are re-written into more positive ones. Other therapies such as hypnotherapy only treat the symptoms and try to change the problem behaviour without healing what has actually triggered it in the first place. Rapid Transformational Therapy takes the best aspects of other therapies including hypnotherapy, CBT and NLP to bring something powerful and truly life changing to the industry. All my work is done via video call online. So wherever you are in the world is not an issue. If you are not quite sure which area you need to work on, don't worry as I will help you work that out during our consultation. Uncover the beliefs that are preventing you from losing weight and be freed from them? Feel good about yourself when you look in the mirror with a newfound sense of self belief and self worth that ripples into every area of your life? Finally break free from the constant battle with food and lose weight with ease? Feel free from anxiety and depression so you can finally live your life? Feel free from constant thoughts about food? Heal your traumatic childhood and truly love yourself? Feel supported in your journey with expert 1:1 coaching and Rapid Transformational Therapy from Natasha? Incase you haven't heard of me, here is why I am qualified to help you achieve the freedom, inner peace and transformation you crave. I have over 12 years experience helping people create positive transformation in their lives. 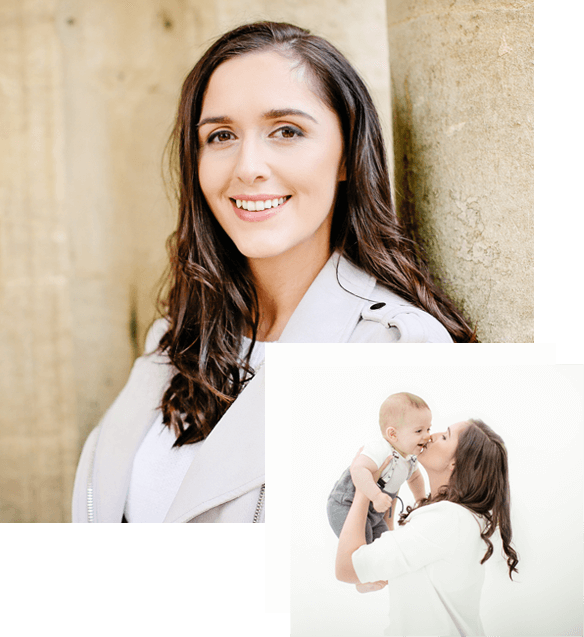 I have helped thousands of women radically boost their health, transform their eating habits, learn to love and believe in themselves and experience rapid transformation in all areas of their lives. I have master's level qualifications in psychology, behaviour change and social work as well as nutrition. I experienced significant transformation in my life after having RTT, overcoming childhood trauma and limiting beliefs that were impacting on me. I am so grateful I have trained with the world renowned Marissa Peer to use this tool with my clients too. Working on self love and freedom from limiting beliefs is the missing ingredient from anything you've ever tried before. A consultation to pinpoint exactly what you want to achieve from your package. 2 hour RTT session where you are put into hypnosis and regressed to past memories and healed. 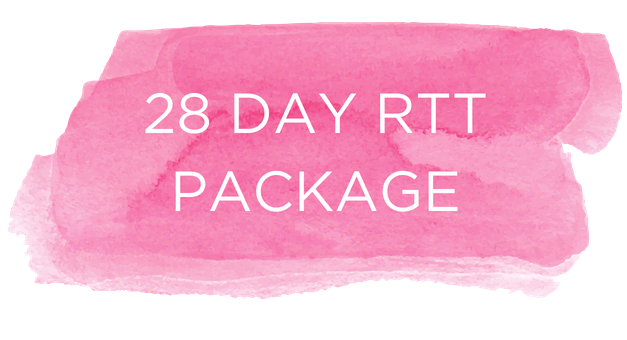 A personalised RTT recording to listen to for 21 days to complete your transformation. Online support from me 24/7 during the whole process. Alyshia stopped 25 years of binge eating in 28 days and came off anti-depressant medication. Debbie overcame a lifetime of self sabotage with food when nothing else had worked. Louise reduced her extreme anxiety to what she described as a 'normal' level. Lisa transformed her relationship with herself and food, and was able to lose 27lbs she had previously been unable to lose. Freya was able to heal a lifetime of guilt and experience a new level of inner peace and happiness she had never felt in her life. Helen was freed from her depression and overcome suicidal thoughts, having a huge positive impact on her life and her daughter. Please note if choosing a payment plan, full payment is required before your RTT package begins. If you are still on the fence or have questions, contact me on the website LiveChat or book in a call to discuss. I can't express how grateful I am that I met Natasha, my life has completely changed. I kept seeing posts from others that had done RTT and just knew i had to do it. I had suffered all my life with anxiety depression and feeling worthless, we found the root cause to be a lack of self love from various experiences I had when younger and difficulties with my parents. I found Natasha and the game changed. I have finished my 28 days but still listen to my recording everyday if not every second day. I keep telling people i can't describe how I feel because i have never felt like this before at 27 years of age it sounds crazy but i really haven't I feel free, happy, no more guilt, no more self sabotage, at one with myself and who I am, not anxious at all and anytime a negative thought even thinks about coming into my head its fired straight back out again. I can not recommend Natasha enough she is amazing at what she does and has such a passion for helping other women. RTT is literally life changing. Since I had my session I have completely changed my outlook on life. I no longer feel like there is an invisible barrier holding me back! During the session, I dealt with feelings of being not good enough, which stemmed from my childhood. I have tried lots of different things in the past to help me deal with these feelings, but they have never quite got to the root of the problem. Within one session, I felt a sense of release from those feelings, and since then I have felt so much more worthy and capable of achieving so much. I no longer feel that I am not good enough. I cannot recommend RTT highly enough. Thank you Natasha, I am so glad I found your company. I only wish I had found it sooner! I have been struggling with an acute depression for approximately 30 years. I was at the bottom of all rocks and had been contemplating taking my own life for a number of years with a failed attempt in 2006. Recently things had gotten a lot worse again and I was really struggling. I have had so many counselling sessions, therapists, medication and general help but nothing had worked. In an almost last ditched attempt I contacted Natasha. We had 2 sessions everything changed. For the better. I am feeling so much stronger in myself. Much more in control and genuinely, for the first time since the late 1980’s, happy, and like I said to Natasha “I finally feel like my glass is half full instead of half empty”. 4 weeks ago I was ready to end everything. I couldn’t see a way out. That’s a lonely place to be. You have changed my life and I finally feel free of this awful darkness. You are a very special, clever lady and I owe you a lot.If you or anyone you know are struggling with depression then I could not recommend Natasha and the RTT enough. Talking is so important and this therapy and how I feel now is living proof that you can beat it. I have suffered binge eating disorder, depression and anxiety for a very long time been on high dose of anti-depressants and I have tried every diet, every pill every counselling group and still to no avail , then I met Natasha and started the RTT and in 4 weeks I have felt my life change for the better. I used to feel trapped and always sad or angry I hated life constantly feeling unloved and binging daily...4 weeks later I'm feeling like a new person I no longer think constantly about food or race out to buy my binges I no longer feel angry or hurt about my past and I'm ready to move on with the future. Natasha got to the root causes and made me understand that everything early on I learnt to cope with feeling what I thought was unloved by filling the void with food. I now know I am loved I now understand actions of others and have no anger or resentment towards these no longer. I cannot thank Natasha enough for giving me my freedom back. RTT stands for Rapid Transformational Therapy and it is a super therapy which combines hypnosis with a range of other therapies to cause profound and instant transformation in one session. You will get a pre-recorded transformational session around finding the root cause of why you do not feel you are enough (lack of self love) and freeing you from it.